We are going well, made it up to Ghorepani :) approx. 3500 stairs by 10 am. We are off the road onto the trail. The views are fabulous, it is especially nice walking along near the river. 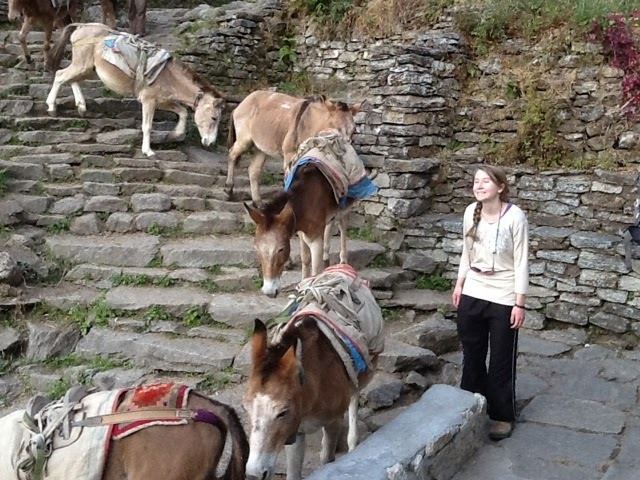 We have seen lots of mules, sheep, chickens, cats, and cuddled the dogs and puppies.